When choosing between slot die coating and comma head coating, it is important to weigh the benefits of each. In this video, Senior Processing Engineer Mike Rothaupt explains the benefits of slot die coating against comma head coating. Our slot die coater has the ability to go on and off coats on demand. Because it is a sealed system, we also are not going to deal with any solvent loss. Watch the video below to understand more about slot die coating. 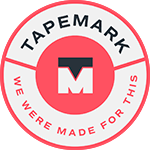 [Transcript] "Hi, I'm Mike, a Senior Process Engineer here at Tapemark. So, while we have comma head coating being the most common method for coating with our transdermals, there is the option of slot die coating, and I'd just like to discuss some of the possible advantages here so that you can decide whether that may be beneficial to you. So the yield benefits with slot die really come after the set up. This can be a very consistent method of coating. You do typically lose a little more during setup, so if you're in a very large scale process or you're going more towards commercialization, this may be more beneficial. Another possibility is if you're running a process, which, for whatever reason needs to start and stop often, the slot die coater can go on and off coats almost on demand. Because it's a sealed system, you're not dealing with any solvent losses that can, you know, dry across the coding head, which happens during comma head coating. So for whatever reason you need to make shorter rolls or just go off for sampling or if you're even doing intermittent coating, this method will likely really have some advantages."